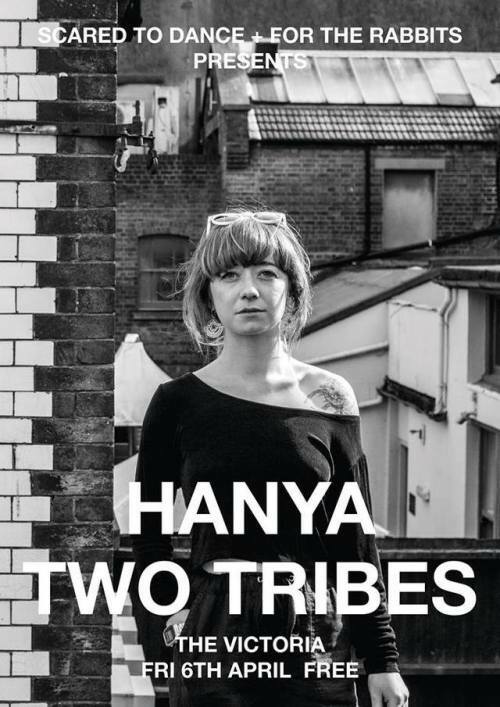 Scared To Dance and For The Rabbits presents Hanya and Two Tribes. Free entry gig followed by Scared To Dance: Joy Division & New Order Special club night. Formerly operating under the moniker of Post-Heather, Hanya are a two-piece shoegaze duo hailing from Brighton. Fronted by chief songwriter, Heather Sheret, their sound combines the ethereal beauty of the Cocteau Twins or Mazzy Star, with a more driving, guitar-led sound akin to acts like Angel Olsen or Ty Segall. The duo released their debut double-A single, “Airplane”/”Stone” last year, and with new material in the pipeline don’t miss the chance to see hear just how exciting this band could be. They may have only formed ten months ago, and not yet released any music into the world, yet East London quartet Two Tribes have already made quite the impression. Their growing reputation has been cemented courtesy of a series of high-profile support slots, culminating in a packed out debut headline set at The Shacklewell Arms. Describing their sound as synth-psych, the band cites influences from Talk Talk to School of Seven Bells. With new recordings on the way soon, this will be a chance to check out one of the capital’s most exciting new bands before their reputation explodes.